“Robert Anderson, a playwright whose intimate emotional dramas like ‘Tea and Sympathy’ and ‘I Never Sang for My Father’ attracted big names to the Broadway stage if not always substantial audiences to Broadway theaters, died Monday at home in Manhattan. He was 91. . . .
“Mr. 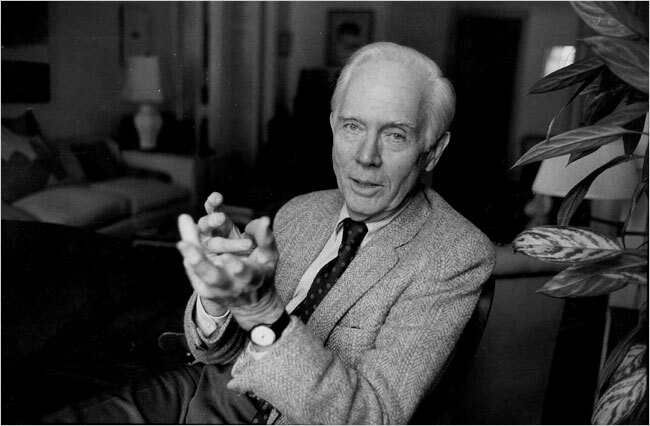 Anderson was a contemporary of Arthur Miller and Tennessee Williams, and though his reputation never ascended to the artistic heights that theirs did — his plays often walked a tightrope between realism and sentimentality — he was among the theater’s most visible, serious playwrights of the 1950s and ’60s.